The Garadain Empire has exhausted the primary resources of their native planet, so they send different space expeditions to find a new world where to live. One of their main objectives is planet Earth. However, Zeku Alba, an alien scientist, decides to rebel against the imperial rule and flees towards the Earth, where he gathers a group of youngs gifted with the power of "psychogenesis", an ability that consists in creating solid matter from mental energy. The most gifted of the squadron is Isamu, a young orphan whose family was killed in the first attack of the Garadain Empire. He is able to generate the powerful robot Govarian, an armor with which he can battle the alien monsters and is able to regenerate thanks to the psychic energy of the pilot. 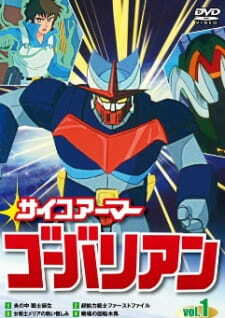 Helped by two other robots created by his team-mates, Isamu, aboard the robot Govarian, defends the Earth in the long war against the alien invaders.